CF Matters - A Podcast about improving health and care in the CF community. Quickie post to share that our podcast, CF Matters, is up and running on iTunes! Check it out, and leave a review to let us know what you think! Also taking suggestions for other topics you'd like to hear us discuss. I mentioned in a prior post about the value that I find in tracking my sons data. 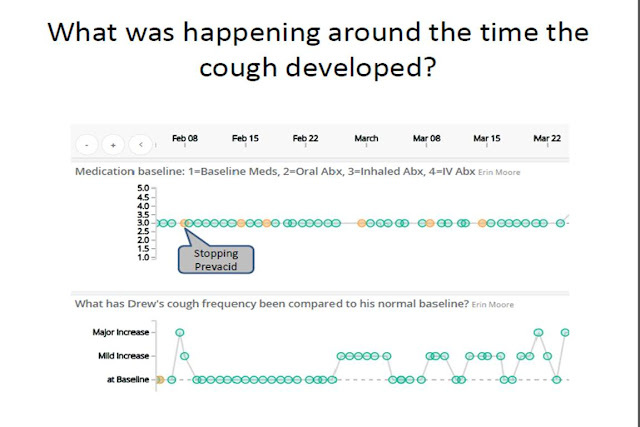 I wanted to share a presentation that I recently gave at Genentech about how we have used the data that I collect in combination with our doctors expertise to personalize treatment options for Drew that help us to best manage his health. This is an example of how I use Orchestra. Orchestra is an SMS based patient-management and data visualization portal which improves the current model of decision-making and collaborative care in the clinical setting by delivering relevant information to patients, parents and clinicians to help everyone prepare for a productive clinical interaction and help patients answer the question, “What can I do to improve the outcomes that are most important to me?”. This is an example of the dashboard that I see in the app showing me the metrics that I've chosen to track. And this is an example of the kind of output generated from answering daily text messages about different aspects of Drew's health. Around the beginning of March, Drew developed a cough. It wasn’t like his normal cough, though I couldn’t put my finger on how it was different. The frequency wasn’t the same as it has been with other infections. The sound of the cough, something that I can’t quite yet quantify, was different – not totally wet and junky, not exactly tight. His appetite was down. I had talked to his doctor and we decided to try an oral antibiotic. After a few days it wasn’t seeming to make a difference. 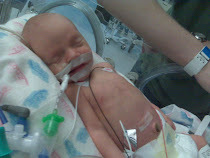 Then on March 24th we decided that he needed to try IV antibiotics to see if we could kick this. You’ll notice that throughout the course of IVs his cough still didn’t return to baseline. We were asking questions like “Did we choose the optimal combination of medications? Is there another treatment that might help better? Are we missing something?” We added a magnesium supplement about a week after we started the IVs, and then upon completion of the IVs tried a steroid. All seemed to maybe help a little but weren’t bringing him back to his baseline. 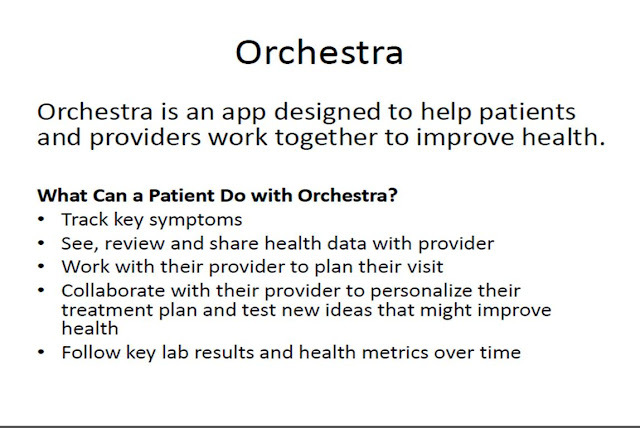 Through all of this, both his doctor and I are monitoring his symptoms through Orchestra. I decided that for a few days I would track his cough frequency in the morning, afternoon and evening to see if we could identify a pattern. I didn’t. Around April 19 we agree that we don’t know what’s going on. She suggests that we may need a hospitalization if these symptoms are going to continue so that he can be monitored more closely. 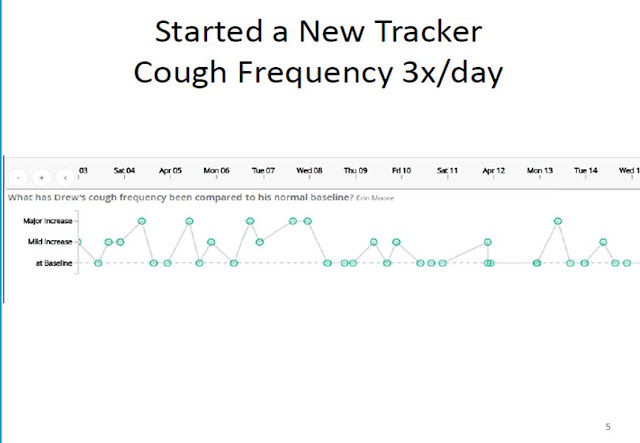 Desperate to not be admitted, I start digging into my data to see what might have happened around the time that this cough started. The only change that I was able to note was that we had stopped Prevacid on February 7. He had always been on Prevacid and we decided to take him off of it to see if it was something that he needed or could do without. And when I asked the care team how we would know if it was working, they said that we would notice a change in his bowel moments. I didn’t think anything of his cough. 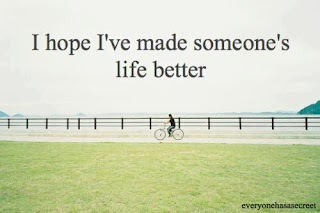 I shared my findings with his doctor and we agreed that restarting the Prevacid was not a bad idea to try. We restarted Prevacid and just a few days later his cough was completely gone and remains gone today, three months later. 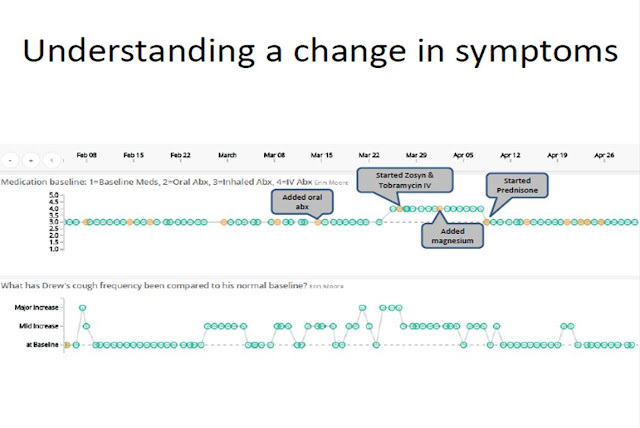 This self tracking doesn’t give us the answers but it helps us to identify the questions to ask, to create a hypothesis. This is about personalized treatment options. Tracking his data like this allows us to do experiments in an N of 1 style, thinking of things to test on our own, optimizing treatment plans. Drew isn’t an average and he doesn’t always fit into the protocol designed for the averages. He’s an individual and having this data has allows us to better treat him as an individual. It has improved our shared decision making abilities with his doctor and has allowed us to focus on understanding what works and does not work for him. We can argue that 4 days of missed preschool isn't a big deal, but to a 5yr old who sits for 3 hrs a day doing breathing treatments, getting to school is his lifeline. When Drew was 2 he had sinus surgery and I remember the surgeon suggesting that he get into swimming as he’s seen it as one of the best ways to keep the sinuses clear. He’s swam twice a week every week since then, except for when he is on IV. When Drew is on Ivs, he has a PICC and cannot get it wet. His sinus symptoms return every time he is on IV antibiotics, prompting the doctor to suggest a visit to the ENT who will undoubtedly suggest surgery. The ENT has told us that there is no scientific data to suggest that chlorine shrinks polyps, yet when we put him back in the pool the polyps vanish and his symptoms disappear. Drew missed spring break to because we are on Ivs and cannot travel more than 60 miles from our hospital for medication delivery and emergency purposes. Drew is colonize with a bacteria called Achromobacter. It only responds to 1 antibiotic, which is terrifying because he is 5. Every time we are faced with the decision of starting IV antibiotics, we must weigh the risks/benefits of using this medication for fear that he will become resistant to it. Sub-optimal medication choice however often leads to longer than expected treatment periods as a sub-optimal choice produces sub-optimal results. Those decisions weigh heavily on all of us. This self-tracking has made me more aware of my sons unique needs, and using this collaboratively with our doctor has helped to improve both his health and care. Monitoring his health and having a good understanding of what he looks like when he is well allows us to better treat him when he is sick. This is able keeping Drew alive and well, in sickness and in health, for as long as we both shall live. We are deep into the weeds of summer - hot days, exhausted kids, dirty floors - and we are embracing it. The girls are at camp this week which has left the boys a bit jealous, but we've been creating our own adventure by Geocaching. Its been fun to hang out with just the two of them for a couple hours a day, and I think its been a nice break for them too. Ella turns 7 on Monday, not sure how that happened! And Drew and Lily start Kindergarten in the fall; separate blog post to follow on that! Jake still lives here too. We haven't yet lost him or given him away, though some days we are close to the latter. Three year olds are tough business. Drew has been incredibly well (knock on wood). 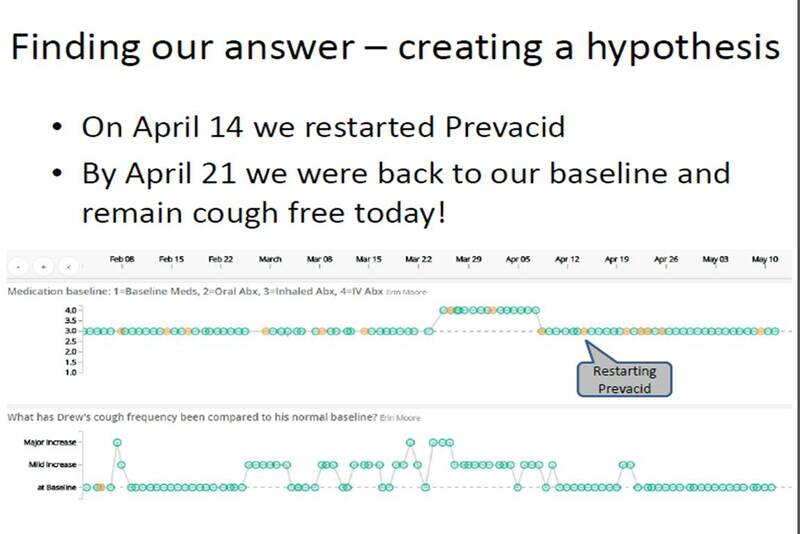 After that whole debacle in March/April with IVs and a cough that wouldn't quit, we figured out that Prevacid may have been the culprit and since hes been restarted on that he has been great. Even prior to us taking him off of Prevacid back in February we weren't the most compliant. And not for any particular reason, simply because we would forget to give it to him. We've never missed a dose of Creon or a breathing treatment, but that Prevacid and 3x a week Azithromycin is impossible to remember! When I made the association between this increased cough and decreased appetite using my Orchestra data and we restarted the Prevacid, we have been religious about its use, and not only has his cough been non-existant but his appetite has also improved dramatically. For a while we were tracking what he ate with the help of our Better PHA (personal health assistant) and we've been experimenting with Periactin, an appetite stimulant, but I think that overall it may be the Prevacid that did the trick for us. There is no doubt that the PHA and Periactin have helped but we've been using both somewhat sporadically and his appetite hasn't changed. In fact, he's gained more weight in the past 6-8weeks since restarting the Prevacid that he did in the past 12 months!! This is a graph generated by our Withings scale, a bluetooth scale that sends Drew's weekly weights to an app on my phone so that I can track it. I also enter this data into Orchestra so that his doctor can see it, and its been really helpful for us to identify changes or the need to intervene, whether it be with an appetite stimulant or just more Ensure Plus! I was having a conversation with some of the people I'm working with to design the CF Care Model of the Future (the CF C3N), and we were talking about the benefits and risks of using data and devices like this to self monitor. Someone brought up the point about insurance getting their hands on this data, and while I can certainly appreciate the risks, I think the benefits outweigh them. For example, our insurance company does not cover Ensure Plus as medical food, but will cover high calorie formula that's administered through a g-tube. Drew doesn't have a g-tube and I hope that he won't ever need one, but the cost to insurance of a g-tube must be greater than a monthly order of Ensure plus. I would gladly share this data with our insurance company to show what we are doing to help Drew gain weight which is keeping him from needing a g-tube. We spend roughly $140/month on Ensure plus, and without it Drew wouldn't weigh half of what he does. He drinks 4-6 of these a day, everyday, and while we have the means to get them for him, many people don't and their health suffers. Similarly with Drew's swim lessons. When he was 2 he had sinus surgery for severe sinus disease and the ENT told us that he would likely need surgery every 6-12months. I had heard in an online forum (Smart Patients) that swimming can help and I got Drew in the pool where he spends time every single week, except when he has a PICC line. 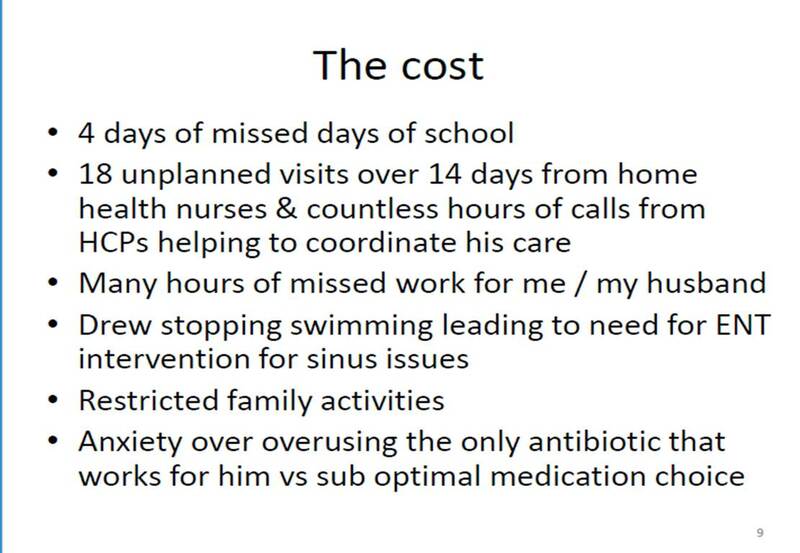 His sinus symptoms only return when he has a PICC and can't get it wet, and they go away when the PICC is pulled and he gets back in the pool. I would gladly share my self-tracking data to show this correlation with the insurance company if they would support his YMCA membership. A sinus surgery costs more (financially, emotionally, physically) that a Y membership does! 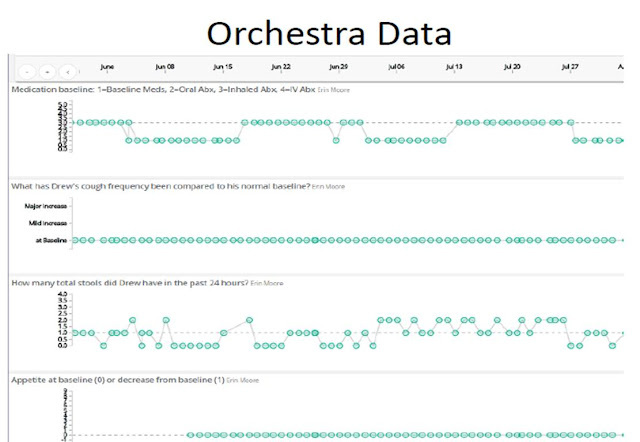 I'll have to share more about my overall experience with self-tracking and Orchestra, but for now my point is that it's been incredibly valuable for us. "Some Whatif Monsters like to hang out and fill up our heads with worry and doubt. They are sneaky and quiet and quick as a blink and the words that they whisper can change how we think. Jonathan James heard those words full of dread and all of those "what ifs" got stuck in his head." It goes on to show Jonathan in a number of situation that are influenced negatively by his fears: Climbing a tree - what if I fall? Jumping into the pool - what if it's cold? Playing baseball - what if I'm bad and the other kids laugh? Painting - what if it's ugly? Trying a new food - what if it's yucky? BUT THEN, Jonathan looks that Whatif Monster straight in the eye and says "What if you're wrong?"! What if I made it to the top of that tree and I never slip or skin my knee? What if I jump into that pool and everyone thinks I look really cool? What if baseball is nothing but fun and I end up hitting a triple home run? You get the idea, right? Well, on the heels of a fantastic week last week imagining what the CF Care Model could and should look like at our second design meeting, I'm realizing that the complexities of the healthcare system far outweigh anything that I had realized, and those "Whatif" monsters are alive inside of all of us - patients, clinicians, parents, researchers - all in both negative and positive ways, and frankly in often seemingly opposing ways (my positive "What if!" is met with a negative "But what if?, and vice versa). The way that they hold back improvements in health and care is not only detrimental to the health of patients, but its unproductive and not a good way to grow. How might we change all of those fears and worries into productive tests and collaborations? The anxiety that an idea brough to the table by a patient in todays system creates - "What if it's done wrong? What if it doesn't fit into our current system? What if someone else hears about it? What if it creates more work? What if we don't understand it?" What if there is another way to learn, from and with one another! In trying something novel, what if I learn something new! What if it's been the missing piece all along! What if the idea spreads! What if it empowers otheres to take a more active role in self management, improving health outcomes and actually makes the jobs of those living and working inside of this system for chronic illness care better! 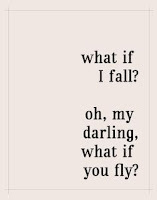 What if we change the world!! Maybe this is a quality that comes with being the parent of a child with a challening health situation. I wouldn't specifically consider myself a risk-taker, perhaps when I was younger, but loving this child with a disease that progresses every day, often times despite the best efforts of the patients and their care teams, it forces us to be pioneers, trying new things, some scary and some just intuitive, grasping onto the hope that we might learn something new, anything that could save our child. Maybe it's also a difference of perspective. The things that I'm doing - self tracking, home spirometry, telemedicine to name a few - I don't view them as risky OR novel. 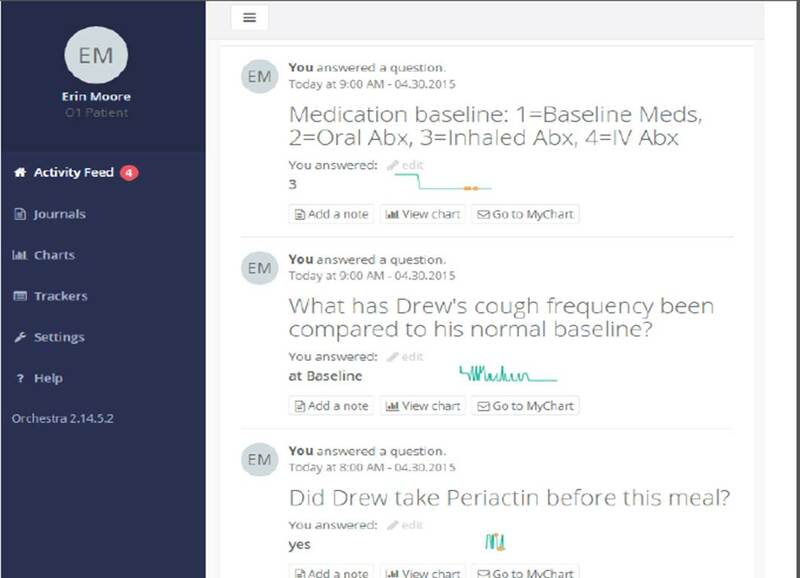 People have been self tracking for years with pencil and paper, or their memories, and in fact a phone call to my nurse with a health update could be considered telemedicine. The difference is that it's outside of the expertise and comfort level of those that we are interacting with. What is my expertise as the patient? Who gets to make this call, to say that something is okay or not okay for a patient to do? When patients do no more than what is recommended by my healthcare team they are encouraged to be more engaged, but when they take the initiative and advocate for what they or their child needs, often for things that are risky or novel, they're often viewed as a rebel, creating more work and stress for an already overworked and overstressed care team. 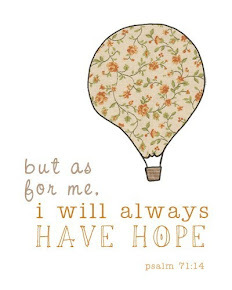 It's a tightrope we walk as patients, and it's not easy. I believe that the best health outcomes will result from productive and meaninful collaboration, something that I've been fortunate to find with my care team in managing my sons health. We need an understanding of and appreciation for the different situations that we all exist within, a concept that was hilighted during our design meeting when we shared an empathy exercise called "Cards for Humanity". I challenge you to think about whatever you are advocating for or against from the perspective of the party sitting on the other side. I also encourage transparency - clinicians cannot help patients to improve if they don't know what they're struggling with, and vice versa. A proposed design target of the work that we are doing to develop this care model of the future is this: "Ensure that all people with CF have access to optimal care and resources to achieve whole health/wellness and lead full, productive lives." I think that we need to acknowledge that “optimal care” is a dynamic term and the partnerships necessary to faciliate that will vary. There is a degree of quality that we need to ensure, but optimization is a relative term depending on both resources available and personal preference. What if we finally get this right? !